The King is the regent and the image of God on earth, his majesty is the reflection of the divine; the entire state, the will of the people are embodied in him. Only he who serves the King serves the state. 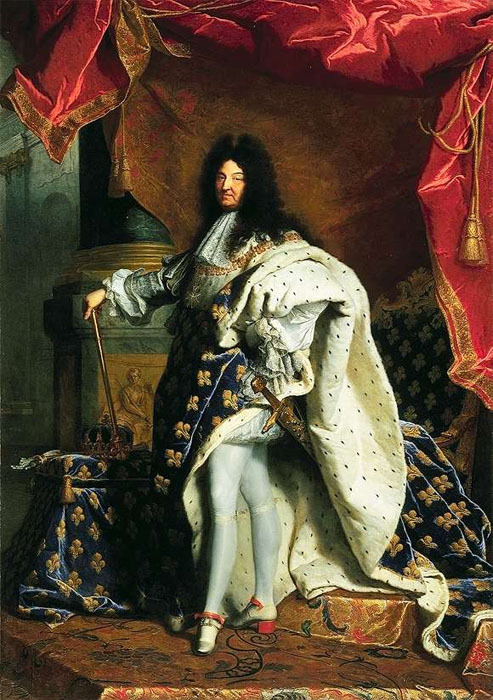 He wanted to impress and he was feared: Louis xiv of France, the Sun King, Absolutism incarnate. He particularly liked to be portrayed as an Imperator, omnipotent, magnificent and proud. He was remarkably healthy and was known for his sexual prowess. 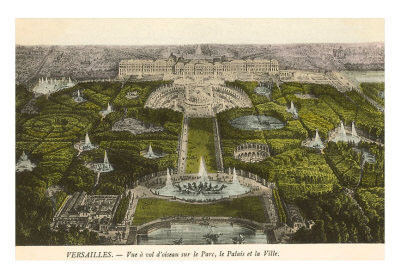 In Versailles, the magnificent palace he had built to commemorate himself, no woman was safe from him. Politically, he was equally successful. His invasion of Holland, his occupation of Strasbourg and of German territories, the sacking and burning of Heidelberg and Mannheim not only enraged his contemporaries; Louis XIV was given bad marks for his wars by later historians as well. His behaviour those relating to his teeth, all of which he had extracted on the advice of his physicians, who were woefully incompetent. One gruesome dental disaster led to another, ultimately leaving the king's face lopsided. Yet the real reason for his unsmiling portraits is an aesthetic convention that goes back at least as far as the sombre busts of the Roman Republic and was given new emphasis in Absolutism. Rulers, divine or otherwise, were not only held in awe. Those who portrayed them were expected to observe the conventions of frontality and unsmiling dignity to enhance the quality of regal aloofness, which ultimately meant absolute power. Even royal women, little Infantas and the beautiful queens of Spain, were subject to this austere treatment. The stern Absolutist convention had a sequel in the United States. The painter Charles Wilson Peale (1741—1827), who served in the American Revolution, was a true son of the Enlightenment. A man of many talents, he advanced early palaeontology, invented several new types of spectacles and made false teeth. The archetypal portraitist of Revolutionary War heroes, Peale might be called George Washington's official portrait painter. All his portraits of the first President of the United States (including, of course, the variant on greenbacks) are tight-lipped and unsmiling. Legend has it that George Washington, too, had trouble with his false teeth. Could they have been made by Peale? In any case it can be safely assumed that the President, like Louis XIV of France, was only too aware of the image he owed to his nation and to history.